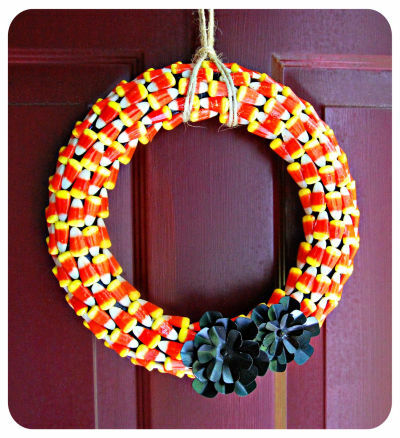 Centsible Savings: FREE Brach’s Candy Corn at CVS = cheap fall décor! FREE Brach’s Candy Corn at CVS = cheap fall décor! The CVS coupon printer is printing out more freebies this week! Many people are reporting getting $0.99/1 off Brach’s candy corn coupons. 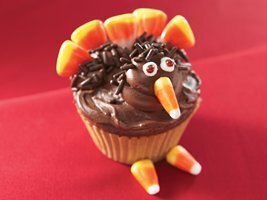 Better yet, Brach’s candy corn is on sale for $0.99 this week, making FREE after coupon! Or you could make some cute crafts with them! This wreath originated from Martha Stewart but they are popping up all over blogland. For this wreath visit Sevin’s Family tutorial. Or stick them in your dollar store hurricanes for some (yummy!) and cheap decor! 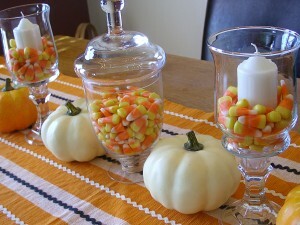 The best thing to do with candy corn (in my humble opinion) is mixed them evenly with peanuts. I know it sounds strange, but the sweet and salty mix is awesome!